I wrote this article over a decade ago. It still reflects so many other horse owners' experiences. I had an Arabian horse named Sham. He was ready to retire and I was looking for a second horse. I surfed ads for half-Friesians and found a website called Equinextion with some beautiful horses for sale … and some different stuff about ‘Barefoot and Natural’. But all that ‘natural’ stuff – the word was overused. Sham was fine. He moved like a dancer – on his toes. I clearly remember asking why his feet hit the ground toe first, kicking clouds of dirt ahead of him. “No problem,” the professionals told me. “It’s just his way of going.” Okay. I saw many horses that moved like that so they must be right. Still that little voice drew me back to Equinextion. I started reading other barefoot websites. They all promoted full turnout. I was doing that. After nine years in a boarding stable, Sham was now in my backyard free to come and go from his box stall. Of course, I was forced into this because Sham could barely breathe where he had been. Now his allergies no longer needed any drugs and he wasn’t nearly as ‘hot’ and spooky. I was doing great for him, wasn’t I? Why didn’t my little voice agree? I decided to call Equinextion and see how much the half-Friesian horses cost. I talked about Sham. I said I liked her idea of putting horses in the woods and I could do that too. She said it might be dangerous if Sham was still wearing shoes. I explained that I couldn’t take off is shoes. There was no time to transition him to bare feet. I HAD to ride regularly or my arthritis would seize me solid. Spring came. Sham’s big trot just was missing. And one day he refused to trot on the road. I was very worried, but there was no sign of injury, heat, lameness. Friends said, “He’s getting old. He has arthritis.” I agreed. I shopped for another horse in earnest. Something closer to riding age. When it was time to have Sham’s shoes reset, that little voice prodded me to test the water. I asked the farrier, “Can I let Sham go barefoot when he retires?” “NO. He’ll wear his heels down to nothing. He had no heels on him when you got him.” Hmm, that wasn’t correct. I couldn’t answer those questions. Then on a trail ride Sham tripped … three times. The next ride he stumbled and we narrowly missed crashing into tree trunks. Experienced horse people said, “It’s his shoulder.” “His knees.” “Arthritis.” “My old horse does that all the time. It’s nothing.” But I knew it wasn’t nothing. I called the vet. He said, “… damaged nerve in the shoulder. Can’t be fixed. “I called another vet. “… brain tumor. Never ride him again.” I sobbed for hours. Lisa and Charlyne arrived with confidence and soothing smiles. When they picked up Sham’s feet, the silent exchange of glances shouted volumes. I cried a lot that day. I can write about it now … the overwhelming guilt has mostly gone. Sham was the ‘poster child’ for contracted feet. It was no wonder I had suppressed my little voice for so long, sandwiched as it was between that guilt and my helplessness. 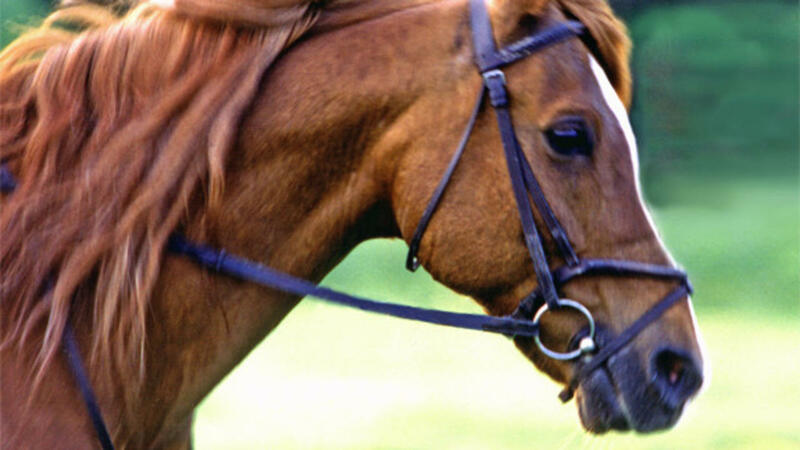 I know now that there are many, many people out there wanting to help their horses but are unable to find the right information and if they do, they are unable to face their inner voices – to deal with the fact that their conventional horse education let their horses down. After Lisa’s trim, Sham’s immediate comfort was obvious. Over the next weeks his chronic sore back, hyper-ticklish skin and, most importantly, his stumbling, all disappeared! And I was learning how to trim. It was terrifying … and I LOVED it! Lisa supported me endlessly with phone calls and email. Sham and I even started trail riding again. I’d like to say this story has a happy ending, but it doesn’t … and it does. In my husband’s words, written to family and friends on October 3, 2003, “Yesterday was a sad day for us. Anne Louise found Sham collapsed and struggling in the woods in the early morning and when I arrived we made the decision to have him euthanized. His back half was paralyzed from a dislocated spine and he was suffering so it was the only choice. Ironically, her new horse Isabelle is due to arrive tomorrow. Mixed emotions abound. We had hoped for a transitional phase with Sham continuing to be ridable for about three years while the youngster was brought along, but it was not to be. Two days after Sham’s death, Isabelle arrived, a Friesian x Thoroughbred filly. The next spring I bought a trail hose and companion for Isabelle – Prince, an older Canadian gelding. My life with my horses has become joyful and relaxing. With full turnout and free choice hay, I no longer rush home to take horses in or let them out, to meet feeding schedules, to wait until the ‘meal’ is digested before I ride. I don’t have to walk out a damp horse on a cold day – they do that for themselves. I don’t have to go to the barn after dark. I don’t have to muck out stinky, ammonia-soaked stalls. I don’t pay farrier fees, buy shavings or bags of feed. I actually keep two horses for LESS than the price of one kept the old way! I continue to study with Lisa. I have become an Equinextion Hoof Therapist and Mentor Trimmer. 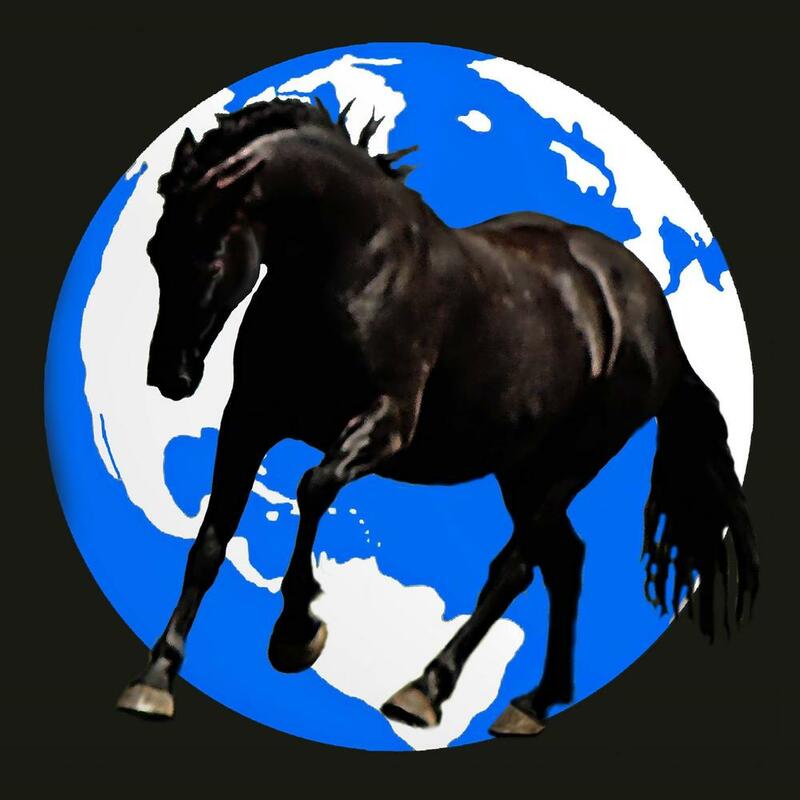 I treat horses locally (and internationally through our on-line forum, and teach people how to care for their horses more naturally – more consistent with the true nature of the horse – and how to maintain hooves so their horses move better, behave better and live longer. Big words? Yes. Possible? You bet … but only if people know about this option in horse care. So feel free to read the Equinextion website. Maybe you’ll end up like me – the owner of super healthy happy horses.